ATB Memorial Park: Are You Collecting? In my opinion the ATB coins are one of the more important collectible coins being produced at this time and should be added to any stack that is concerned about preserving their wealth. I can not and will not make any suggestions about what you should do and I am not offering any financial advice. What I am doing is collecting as many of these coins as possible. 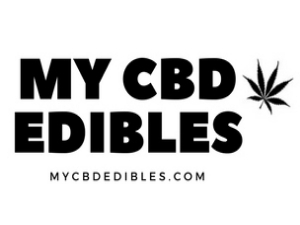 Currently, I have several on hand with plans to add more. As I said, I believe it to be one of the more important collectible coins available to the average collector. Some of these coins are already commanding huge premiums with them likely reaching even loftier heights over the years to come. Entire collections of all 60 coins will likely command a hefty premium that only the wealthiest of collectors will be able to afford. Currently, entire years are demanding attention. At the end of 2019 there will be 15 coins left, or 25%, of the collection will remain to be produced. With 75% of the collection in the market we should see more and more attention towards these coins. Found on the reverse (tails side) is a design emblematic of American Memorial Park in the U.S. territory of the Commonwealth of the Northern Mariana Islands. Each coin is composed of 5.000 troy ounces of 99.9% fine silver to a diameter of 3.000 inches. The collectible appears as the 47th issue from the U.S. Mint’s America the Beautiful Five Ounce Silver Uncirculated Coin™ program. Coins in the series share the same designs featured on their associated America the Beautiful quarter dollars. Debuting in 2010, both programs showcase five designs annually with each honoring a different site of national interest. 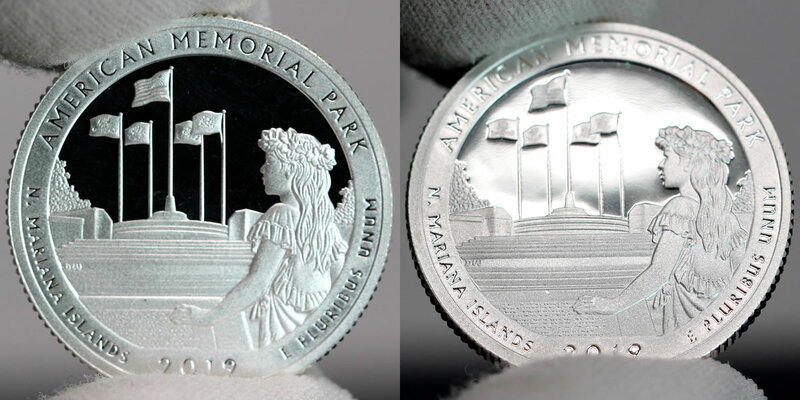 American Memorial Park coins depict a young woman in traditional dress. She appears at the front of the Flag Circle and Court of Honor with her hand resting on the plaque whose text honors the sacrifice of those who died in the liberation of Saipan. Two CoinNews photos of a 2019-S Proof American Memorial Park Quarter. The larger American Memorial Park 5-ounce coin features the same design, but in a vapor blast uncirculated finish. It also has a flat or smooth edge compared to the reeded edge found on quarters. Inscriptions on the reverse read “AMERICAN MEMORIAL PARK,” “N. MARIANA ISLANDS,” “2019,” and “E PLURIBUS UNUM.” Donna Weaver created the design and Phebe Hemphill sculpted it. As 2022 approaches, and the minting of this series closes out, attention paid to these coins will surely increase. The good news for us “small fries” of the coin collector world there is already a built in market. With each coin selling between 20k and 120k that makes for a nice sized body of interest. Each coins mintage is capped at 120,000. Which brings about another incredible point. If there are only 20,000 coins of a particular run that are minted that means one of two things – either people overlooked a particular coin for one reason or another or the people that are collecting this series didn’t like the coin. This has the potential, as time passes by, to make some of these coins extremely valuable. Several coins are already commanding very high premiums. The coin with the highest premium is the Hawaii Volcano coin. This coin was selling with a premium of more than $150 per coin just over a year ago. It came down slightly from this lofty perch, for a short period, but has begun once again ascending to much higher premiums. If you check the major online bullion dealers and eBay you will see what I mean. There were only 20,000 minted making this coin, thus far, the prize of the entire series. Unfortunately, I do not own this coin and need to grab one before the premiums get back on the train to Unobtainium. 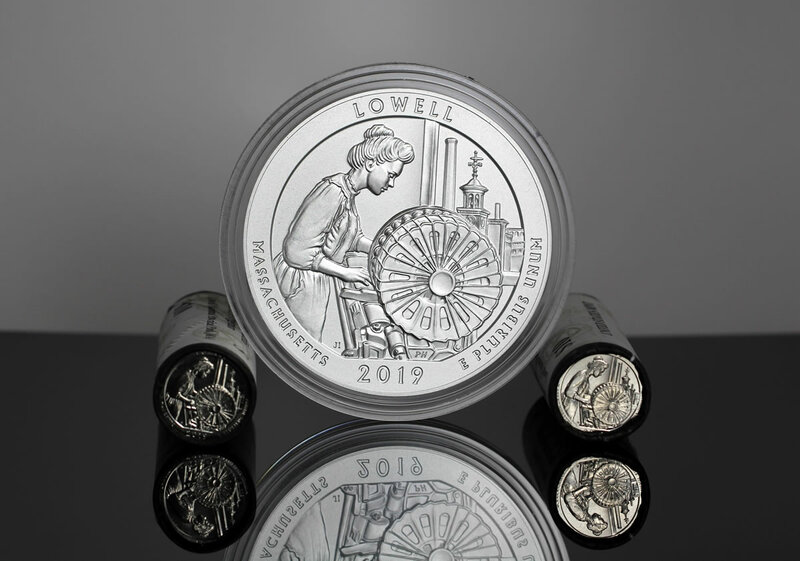 While the image above is merely a rendering of the coin the actual coin has all the detail of this drawing and once you see it in silver it is magnificent.